Scooby Doo is awesome. Simple Plan is awesome. 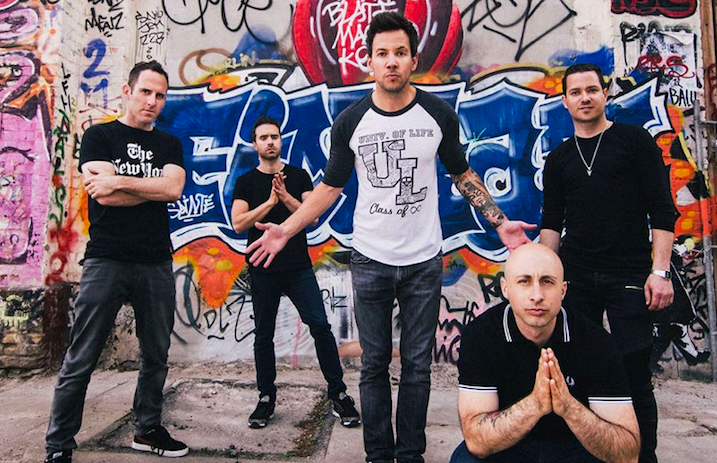 How awesome would it be if Simple Plan performed the Scooby Doo theme song live? Alix Epstein from Pennsylvania wants to find out and she's even started a petition to get the band to notice. Check out where to sign below! Epstein is as psyched as the rest of us to see Simple Plan perform the entirety of No Pads, No Helmets…Just Balls but wanted one more song added to the setlist—the theme song from Scooby Doo. Simple Plan replied with a simple request. If you're not sure whether or not you should sign the petition, first, shame on you, second, take a listen to how amazing the Scooby Doo theme song is when Simple Plan plays it. Sounds amazing, right? You can sign the petition here to help make Epstein's dream come true here. Simple Plan's Chuck Comeau took over Alt Press' Facebook back in January to answer any questions that fans threw at him. Check that out below! Epstein definitely has our support, because we want to hear Simple Plan perform it live as badly as she does!